Malaria: Shifting the burden or expanding access to care? Malaria is a significant burden to health systems and is responsible for a large proportion of outpatient cases at health facilities in endemic regions. The scale-up of community management of malaria and reactive case detection likely affect both malaria cases and outpatient attendance at health facilities. 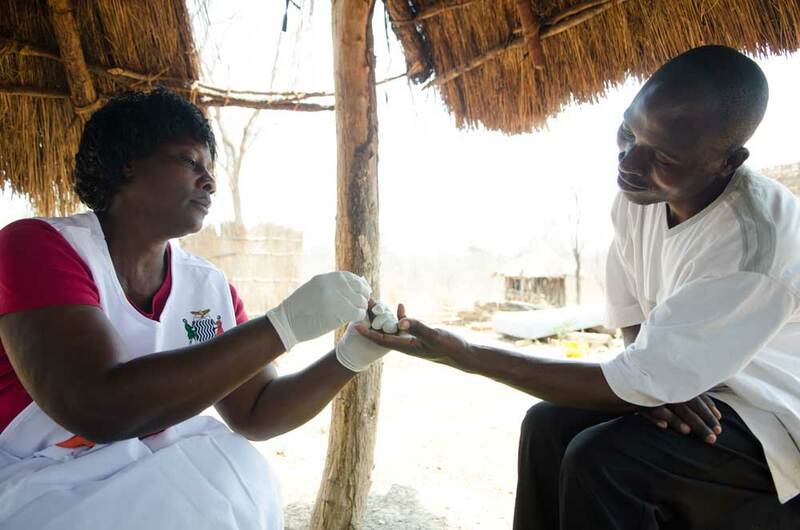 This article examines the use of Community Health Workers to test and treat malaria case in Southern Province, Zambia and relies on health management information data from 2012 to 2013. It examines health trends before and after the volunteer community health workers were trained. Learn more about how Akros is working in community-led surveillance of malaria.